From the beginning, Trent Grinkmeyer and Valerie Leonard knew their business was unique. Maybe it was Trent’s ability to think outside the box and craft creative solutions for complex or sometimes fairly common problems. Perhaps it was Valerie’s ability to take Trent’s ideas, transform them into real-world applications, and fine-tune the most detailed facets to ensure that they were implemented smoothly. Maybe it was the fact they recognized that two heads were better than one or that each excelled at giving advice on different topics. Whatever it was, the idea of running a mediocre advisory practice with average service and advice just didn’t appeal to them; they wanted better for their clients. At Grinkmeyer Leonard Financial, we offer our clients independent, customized service solutions. Whether you are a company looking for full-service defined contribution services or an individual or couple needing investment management or financial advice, we can help you. Trent has more than 18 years of experience as a financial advisor. His personal practice focuses on investment management and advice for individuals and couples of all ages and income levels. He provides advice and life coaching services to small business owners and other professionals. Trent also helps companies manage their retirement plans and has been recognized nationwide for his contribution to the retirement industry. Trent holds the Chartered Retirement Planning Counselor® (CRPC®) and the Accredited Investment Fiduciary (AIF®) designations. 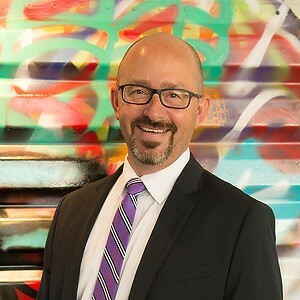 He currently serves on the Retirement Advisory Council at Commonwealth Financial Network and on the National Association of Plan Advisors Governmental Affairs Committee (NAPA-GAC). Trent has been recognized as one of the "Top 401 Retirement Advisors" by the Financial Times. "I have two girls and have been married for 21 years now. I struggle as a parent at times and as a husband. BUT, it's because of my wife and kids that I want to inspire people to be better than they were yesterday. I believe as a father and husband it is my job to clear a path for my family to be all they can be. That means I have to inspire people to be better than they ever thought they could be. If I can do that, my family and your family can grow and prosper." The Financial Times 401 Top Retirement Plan Advisors is an independent listing produced annually by the Financial Times. The FT 401 is based on data gathered from advisors, regulatory disclosures, and the FT's research. The listing reflects each advisor's status in seven primary areas: DC plan assets under management (AUM), DC AUM growth rate, specialization in DC plans, years of experience, advanced industry credentials, compliance record, and DC plan participation rate. 670 qualified applicants were nominated, of which 401 were recognized (60 percent of candidates). This honor is not indicative of the advisor's future performance. Your experience may vary. Neither the advisors nor their parent firms pay a fee to the Financial Times in exchange for inclusion in the Financial Times 401. For the full methodology, please visit ft.com. Valerie's mission is to help people be the best they can be and make the most of their financial resources. 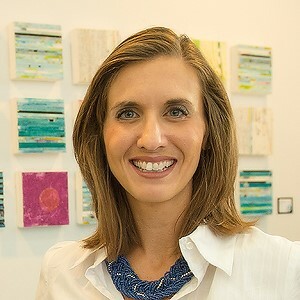 She helps business owners, 401(k) plan sponsors, and hard-working people who are looking for a better and easier way to manage their money and time by offering investment advice and management, financial planning and advice, insurance, budgeting, tax strategies, and debt reduction strategies. Her commitment as a leader in the retirement community has spanned over a decade and has earned her numerous recognitions throughout the U.S.
Valerie holds the Accredited Investment Fiduciary® (AIF®) designation as awarded by Fi360 and the Certified Plan Fiduciary Advisor (CPFA) designation as awarded by the National Association of Plan Advisors (NAPA). She currently serves on the Retirement Advisory Council at Commonwealth Financial Network and is a proud member of the Financial Planning Association. Valerie has received numerous awards for her work in the financial services industry. She has been recognized by Forbes' as one of the "Top 1,000 Next Generation Wealth Advisors" and as a "Best-in-State Wealth Advisor." She was also named as one of the "Top Women Advisers" by the National Association by Plan Advisors. "I am diligent in ensuring our entire firm offers proactive service to our clients. My biggest pet peeve is service providers who only react when a client has an issue or concern. I want to fall asleep at night knowing that our team has done everything we can to do our best, and I don’t sleep well when I think we haven’t. I’m blessed to have an amazing husband and am also the proud mama of three young kiddos. I’ve laughed harder since they were born and didn’t fully understand the meaning of grace and true joy until I had them. On another note, I’m equally thankful to be a working mom and am amazed by women who have the patience to stay home every day!" *NAPA 2015 Top Women Advisers: Nominations were made by NAPA Broker-Dealer and RIA partners. Advisors were then asked to complete an application process. Honorees were selected by a panel of judges based on criteria such as a candidate's percent revenues derived from retirement plans, total plan assets under management/advisement, years of experience working with workplace retirement plans, regulatory compliance record, and credentials. NAPA member votes were utilized to break ties, if applicable. 227 advisors were considered for this award. 146 (64 percent of candidates) were named to the list. List makers were then separated into four different categories: All-Stars, Captains, Rising Stars, and MVPs. The nominated advisor need not be a NAPA member. This award is not indicative of the wealth manager's future performance. Your experience may vary. For more information, please visit www.napa-net.org. Forbes Best-inState Wealth Advisors: The 2019 ranking of the Forbes’ Best-in-State Wealth Advisors1 list was developed by SHOOK Research and is based on in-person and telephone due-diligence meetings to evaluate each advisor qualitatively and on a ranking algorithm that includes client retention, industry experience, review of compliance records, firm nominations, and quantitative criteria (including assets under management and revenue generated for their firms). Overall, 30,000 advisors were considered, and 3,500 (11.6 percent of candidates) were recognized. The full methodology2 that Forbes developed in partnership with SHOOK Research is available here. 1This recognition and the due-diligence process conducted are not indicative of the advisor’s future performance. Your experience may vary. Winners are organized and ranked by state. Some states may have more advisors than others. You are encouraged to conduct your own research to determine if the advisor is right for you. 2Portfolio performance is not a criterion due to varying client objectives and lack of audited data. SHOOK does not receive a fee in exchange for rankings. Forbes' Top 1,000 Next Generation Wealth Advisors: This recognition and the due-diligence process conducted are not indicative of the advisor's future performance. Your experience may vary. You are encouraged to conduct your own research to determine if the advisor is right for you. Portfolio performance is not a criterion due to varying client objectives and lack of audited data. SHOOK does not receive a fee in exchange for rankings. 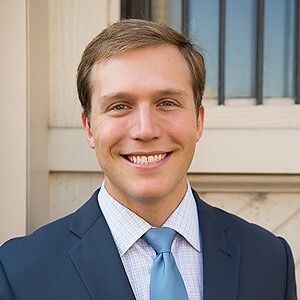 Caleb has a passion for employee education and working with people regarding financial matters that could affect individuals, families, and ultimately generations to come. He believes financial wellness includes more than just the balance in an employee's retirement account. Caleb specializes in providing employee education and advice for our 401(k) plan clients. He also helps individuals and families in a variety of financial areas including budgeting, debt reduction, risk management, and investment planning. Caleb has been successful in helping businesses refine the multi-generational workforce and has seen firsthand the results when different generations learn to collaborate. Caleb is a CERTIFIED FINANCIAL PLANNERTM professional. He also holds the Certified Plan Fiduciary Advisor (CPFA) designation as awarded by the National Association of Plan Advisors and is a John Maxwell Certified Leadership Coach. In 2016, Caleb was recognized by the Birmingham Business Journal as a "Rising Star in Money." "I love the 'ah-ha' moments. When I get a chance to work with an individual through their personal situation and I see the dots begin to connect—that is what I am most proud of. Connecting with people to let them know that I care about their situation and about their success helps me to be able to deliver the complicated information in a format that truly leads to positive outcomes." *The "Rising Stars of Business" list is compiled by the Birmingham Business Journal by evaluating applicants in three areas including accomplishments to date, contributions to their company, and potential to become a leader in their industry. The Rising Star award does not imply an endorsement, recommendation, or otherwise reflect the performance of the advisor or any accounts. As a retirement plan specialist, Jamie is passionate about working with company presidents, CFOs, CEOs, and human resources professionals to design, implement, and manage a total benefit strategy including 401(k) plans and group health and welfare plans. She helps companies design retirement plans that not only represent the best interests of their employees but also plans that attract and reward top-level executives. She serves as a liaison between company executives and product providers. She assists with the implementation of committees, analyzes and recommends plan investments, and reviews plan operations. Jamie holds the Qualified 401(k) Administrator (QKA) designation as awarded by the American Society of Pension Professionals and Actuaries (ASPPA), which signifies her qualifications as they pertain to the complex issues of qualified plan design, testing, and administration. She also holds the Accredited Investment Fiduciary® (AIF®) as awarded by Fi360 and the Certified Plan Fiduciary Advisor (CPFA) designation as awarded by the National Association of Plan Advisors. 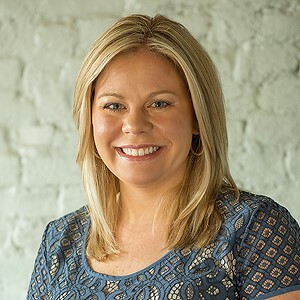 Jamie has been recognized by the National Association of Plan Advisors as a "Top Women Advisers" and as a "Young Gun" Top Retirement Plan Advisors 40 Under 40. "I live and work in sunny Mobile, Alabama, with my wonderful husband, Daniel, and our two amazing daughters, Kate and Claire. As a family, we enjoy taking advantage of the outdoors and can often be found playing in the sand at the beach, exploring trails at our national parks, or splashing in our pool. We are avid sports fans, especially football, and spend fall Friday nights cheering on the Baker Hornets and Saturday mornings encouraging the Buckeyes! I exercise for sanity, not vanity, and often come up with some of my best ideas pounding the pavement!" The NAPA Top Retirement Plan Advisors Under 40 list includes plan advisors who have built a solid practice—either alone or as part of a team—and are established leaders ready to take their defined contribution (DC) and 401(k) plans to the next level. Nominations were solicited by NAPA members. Nominees were asked to complete an application, and winners were chosen based on criteria that include current and new DC assets under management, DC plans for the past 12 and 24 months, and DC/defined benefit plan revenue. Overall, 512 advisors were considered, and 100 (19.5 percent of candidates) were recognized. For more information, please visit www.napa-net.org. *Votes were used to break ties, if applicable. The nominated advisor need not be a NAPA member. This award is not indicative of the wealth manager’s future performance. Your experience may vary. NAPA- 2015 Top Women Advisers: The Top Women Advisors List- Nominations were made by NAPA Broker-Dealer and RIA partners. Advisors were then asked to complete an application process. Honorees were selected by a panel of judges based on criteria such as a candidate's percent revenues derived from retirement plans, total plan assets under management/advisement, years of experience working with workplace retirement plans, regulatory compliance record, and credentials. NAPA member votes were utilized to break ties, if applicable. 227 advisors were considered for this award. 146 (64% of candidates) were named to the list. List makers were then separated into four different categories: All-Stars, Captains, Rising Stars, and MVPs. The nominated advisor need not be a NAPA member. This award is not indicative of the wealth manager's future performance. Your experience may vary. For more information, please visit www.napa-net.org.